Diffraction Limited Design LLC now offers two versions of OpticsCalc! 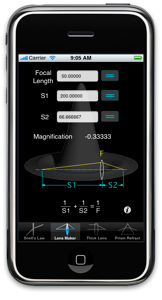 We are pleased to announce the new version of OpticsCalc for the iPhone and iPod Touch. 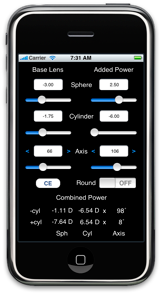 This application performs common optics computations quickly and easily with just a touch of the screen. And OpticsCalcX the original full featured version of OpticsCalc for OS X. 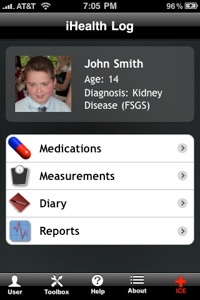 Crossed Cylinders is a new application for the iPhone and iPod Touch from Diffraction Limited Design. The application computes the spherical and cylindrical power resulting from the combination of two randomly oriented cylindrical optics. 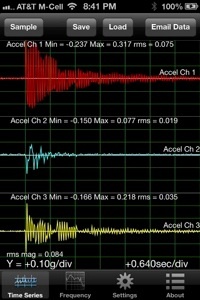 Vibration is a powerful vibration analysis tool which uses the internal accelerometer and gyroscope of the iPhone, iPod Touch, and iPad to measure and characterize vibration. 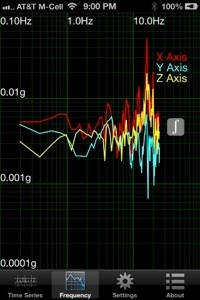 It can be used to analyze the vibration of machinery, vibration and harshness of an automobile and much more. Version 2 and above is now native for iPhone 5 and iPad with great new graphics. 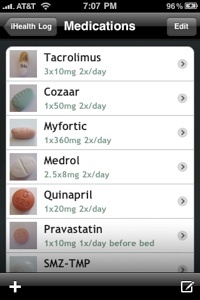 iHealth Log was designed to help individuals with chronic health issues track their daily health by tracking prescriptions and measurement values such as blood pressure, urine protein, Cholesterol etc.